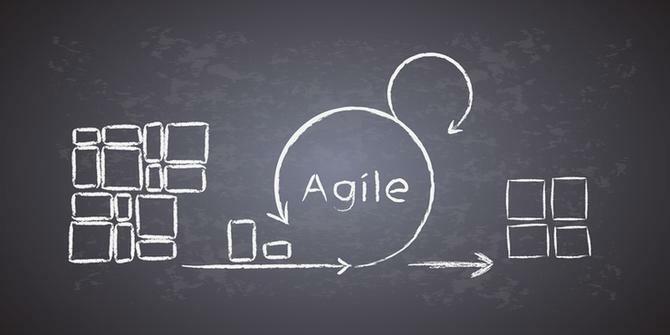 One organisation leading the way in terms of successful agile rollouts is Deakin University. Led by the education institution’s executive director of marketing, Trisca Scott-Branagan, Deakin recently joined forces with US-based agile training group, AgencyAgile, in a bid to embrace agile as a new way of working. Importantly, it’s the agency’s unique approach to tailoring agile metholodogy to the marketing and agency space that’s really paying dividends. The catalyst for Deakin came in mid-2016, when the team had to deliver four programs of work within days of each other. These were Open Day, Deakin’s biggest annual event and largest lead generation activity of the year; the launch of the new website; a new branding campaign, the uni’s first in four years; and taking the brand nationally for the first time in its history. Existing processes simply couldn’t cope with the workload, and teams were stretched to the limit, Scott-Branagan said. Staff from different teams started pooling around projects, mapping them out and "chunking down" activities that had to occur in order to meet the deadline, Scott-Branagan said. The change was transformational. This year, the focus is on embedding that agile way of working across the whole Deakin marketing division to bring consistency in approach and language. Enter AgencyAgile. CEO and founder, Jack Skeels, said the business is designed to bring agile-like techniques to marketing organisations and agencies. Established in 2011, the company now boasts of more than 90 clients across the US, Canada, UK, Finland and Australia. Its biggest client to date is Ford Motor Company’s Global Team Blue agency, which maintains 3200 staff. There’s a very big reason why traditional approaches to agile are doomed to fail in a marketing context, Skeels claimed. The first is that the history of software agile is large-scale software projects. “These are so big, they are hard to understand, index, and specification planning takes more time than is worthwhile,” he explained. “It’s easier to just get going and do one thing for a while, then do the next piece that seems right. “Projects in the marketing world don’t look anything like this. The typical software project is 25 people working for four years on it. In marketing functions and agencies, you have lots of projects. Some of our clients have 200-300 pieces per week they're doing for 45 different clients. Another thing that makes agile in marketing organisations different is the broad, multi-disciplinary teams involved, including analytics, content, designers, front-end digital specialists and social media managers. “Step back from a software project and they all look like software people,” Skeels said. “I call it the anthill versus the zoo, with the marketing organisation the latter. A lot of marketing work has a stop-start nature to it as well, which makes it more challenging to manage things. Organisational design is in Skeels’ blood. After running his own consultancy, specialising in organisational design and research, he did an MBA and ended up at Rand International, studying how knowledge organisations work. Skeels then joined an agency, and had the opportunity to put his theories around modern ways of working to the test. “Agencies are a lot more like thinktanks than they are like an Accenture or an accountancy firm,” he claimed. “They never want to tackle the same problem twice. If I build a campaign for a beverage brand, a competitor doesn’t come up and say 'I want a campaign exactly like it'. I want to be unique every time. But in Accenture, you’ll mention something that was done somewhere else. Skeels outlined three problems common to the clients his works with. The first is language. “In that anthill scenario, if I could learn how to speak like an ant, I can tell everyone what they ought to be doing. But if you’re at the zoo, you have to learn all those languages and figure out ways to get them all talking together,” he said. “The biggest problem marketing organisations have is making sure everyone understands what they’re trying to get done. It’s the ‘what’ proceeded by ensuring everyone understands the ‘why’. Our first training session is literally around ‘alignment training’, or roadmapping. The goal is to make sure everyone understands what the work is for. "You want to make sure the people who understand it are the team members doing the work. Yet often, neither know what to expect. It’s managers who think they understand everything. Their ability to communicate to these other two groups creates a lot of noise. What we do is teach you how to understand the work thoroughly, then have the team explain it to the stakeholder or client. That leads to better productivity. The second big challenge is marketing organisations are noisy places, full of interruption. “I estimate about half that noise comes from people not knowing what they are supposed to be doing,” Skeels continued. “If we solve the first problem, we reduce the noise dramatically. People have gotten used to bad communications and interruptive noise, so we train them out of that." AgencyAgile calls it ‘day structure’, or 'flow time'. The third component of training is the stuff most would associate with software agile, such as sprints and activities that happen on a repeatable basis. In the world of marketing, things have become more complex and intertwined, making a new work approach a necessity, Skeels said. A wider trend is that employees of all sectors increasingly want T-shaped jobs and to be specialists while still being involved with the whole process. There are, of course, stumbling blocks that can make an agile-based marketing approach a challenge. For Skeels, those often come down to leadership. Another problem is a lack of measurement around what's important to the business. For Skeels, these are customer and employee Net Promoter Score; the velocity of work and cost per output; the quality of work; and collaboration. “If you’re doing it right, all five metrics will improve,” he said. A third challenge is the emphasis on buying technology to support the way teams work – often to their detriment, Skeels said. “We bury people in software as an industry and a culture,” he said. “When we go in, we detune and remove complex software from client environments. With collaboration, for example, you want something really lightweight. We use Google Sheets. Software is an aid, not the method."